Claudia is an agile enthusiast with a strong background in testing. She is passionate about building and fostering a whole-team approach towards testing and quality. She works as a Senior Quality Engineer in a software product development team, defining the test strategies to test a UI prototyping tool which has a plugin to perform usability testing. 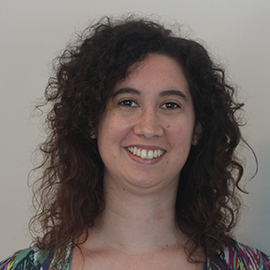 She also co-organises TestingUy conference, and co-created and co-facilitates the UX for testers online course at Centro de Ensayos de Software. Claudia has implemented test processes for several teams and trained them in test automation. She also taught testing and programming courses in the CS Department within the School of Engineering at UdelaR. Claudia has a Computer Engineer degree, has taken the Foundation and Bug Advocacy courses by the Association for Software Testing, and has completed the Agile Testing 101 tutorial with Janet Gregory and Lisa Crispin and the Rapid Software Testing course with Michael Bolton.